The U.S. 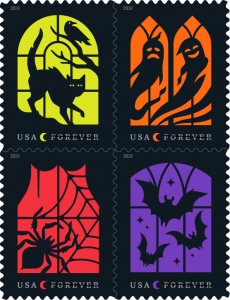 Postal Service has announced three additional stamp subjects for 2019. More details, including dates and locations for the first-day-of-issue ceremonies, will be coming soon. In addition to Sesame Street and dinosaur stamps, the USPS will also be releasing what they are calling “Spooky Silhouettes” later this year. We will update this post with the actual release date when available.